You set a fine table, Liz. Pretty tulips and lovely place setting. The darling lambs make me smile. I have a couple tulips that the voles left alone. A garden always surprise us, doesn't it? Have a great afternoon. 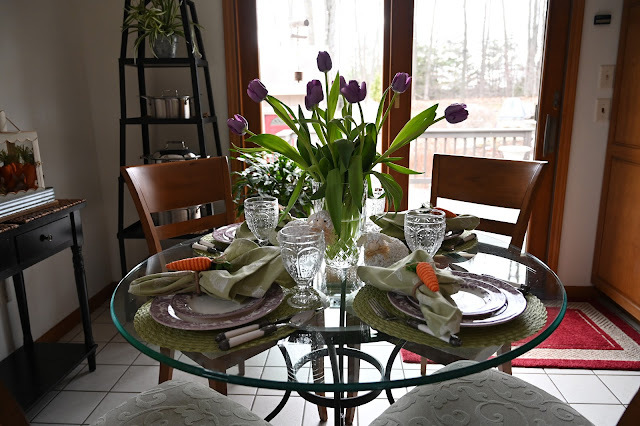 Oh, I'm loving your table setting, Liz! But you know that I do because of the purple tulips and place settings! 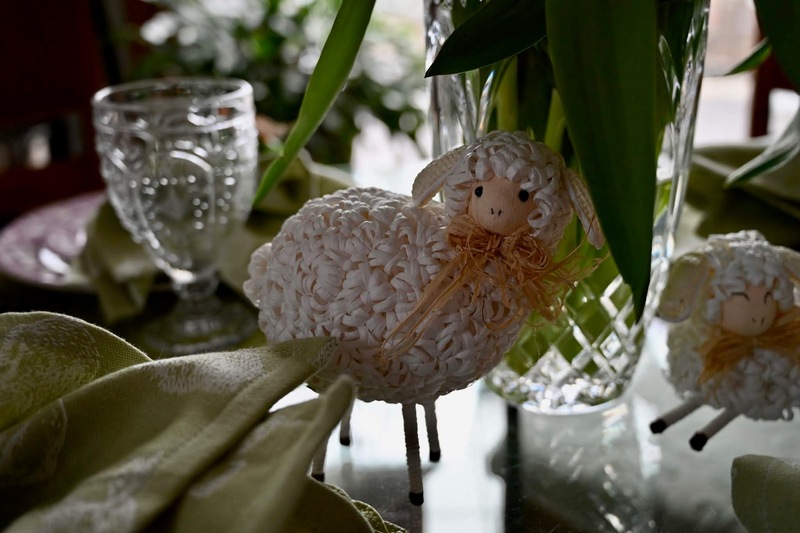 And the little sheep are a added bonus of whimsy, of course! You're all set for Easter! Love the tulips. Where on earth did you get those cute little sheep. Just adorable. It all looks so sweet. I’m swooning over those lavender tulips, too, Liz! 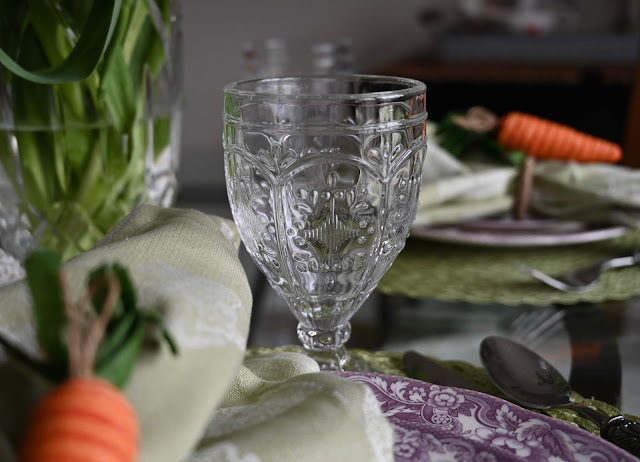 Your table setting showcases them perfectly but they are still stunning by themselves! Happy Easter! 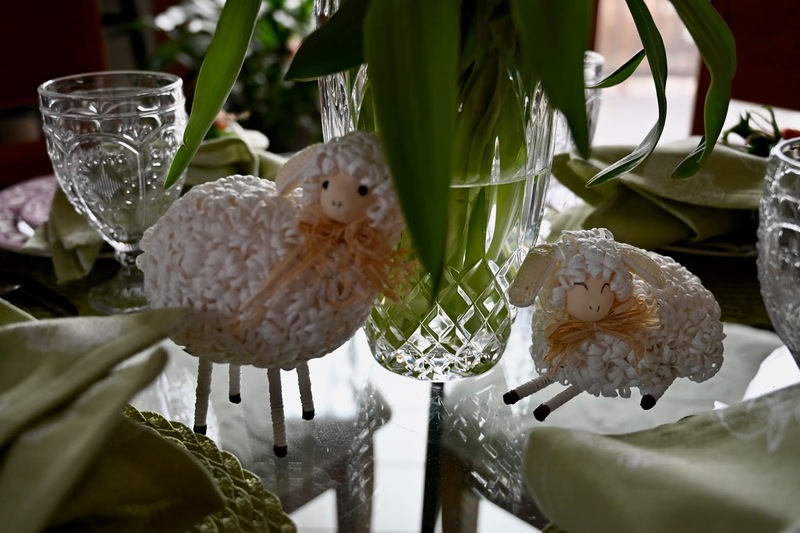 This is a fabulous table setting and I really do adore the sheep! Liz, I love your Easter table. Whimsical and cute. The lambs are so sweet and those carrots. The lavender tulips are so beautiful, what a beautiful color. 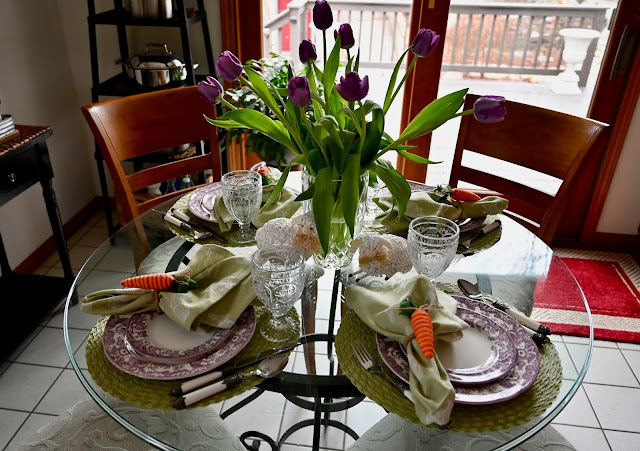 The plates are perfect with the tulips. Happy Wednesday. I adore the hue of those gorgeous tulips! Purples and greens just sing spring! And yours are lovely shades. Having seen lots and lots of bunnies this season, it was a nice change to feature lambs. Are they made of ribbons? Oh so pretty Liz! 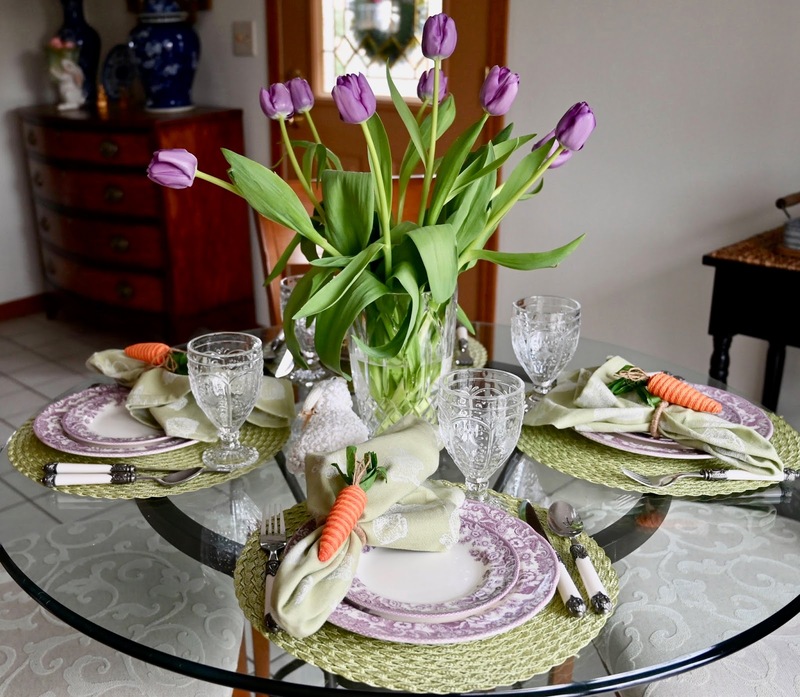 The tulips and your purple china are gorgeous! 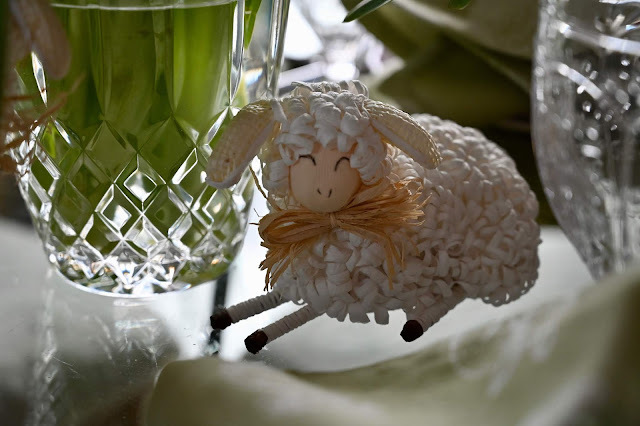 And those little lambs are so so sweet! I love to use carrots for Spring decorating and your napkin rings are wonderful! What a pretty table Liz! 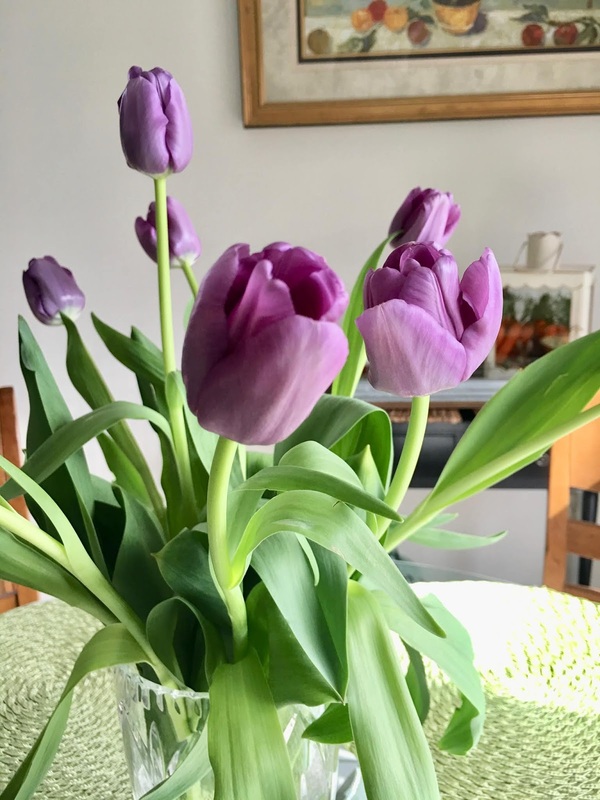 The tulips are such a beautiful shade of purple. I love your glasses and dishes! 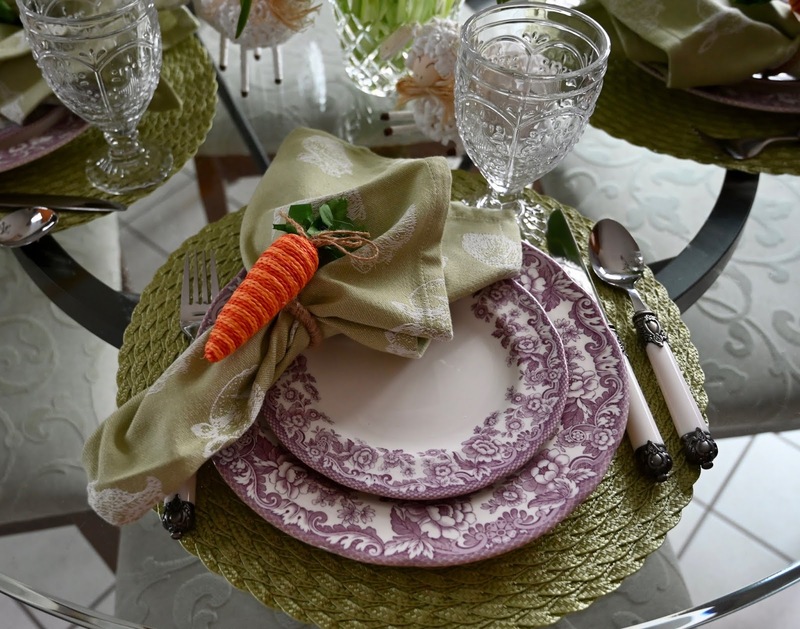 Liz, I love this tablescape! 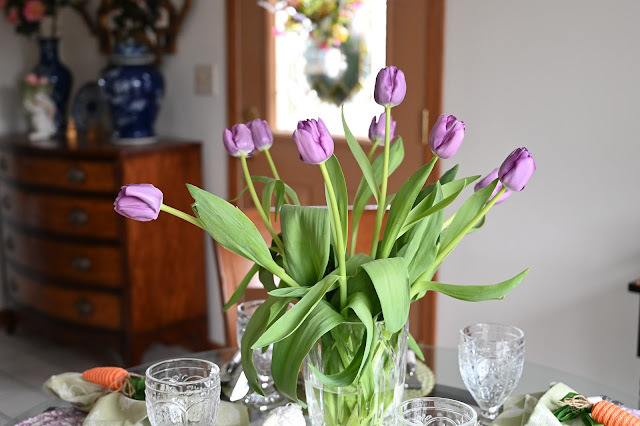 The Spode dishes are so beautiful and are perfect with the lavender tulips. The lambs are so sweet. Have a blessed Easter!